At GLADSTONE MITSUBISHI in PORTLAND, OR we use only quality motor oil made to keep your vehicle running smoothly for competitive prices that you'll love. 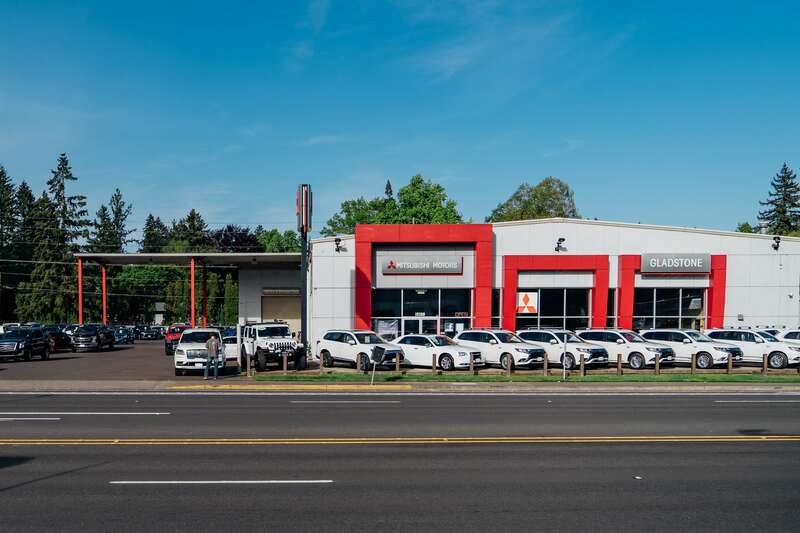 Our Service Department is a group of highly trained technicians that are well versed in performing a MITSUBISHI Oil Change in MILWAUKIE, OR and will do it quickly and to your utmost satisfaction. The oil in your engine needs to be changed anywhere between three and ten months - make sure to defer to your owner's manual and local dealer as to the appropriate timeline. As one of the most important regular maintenances your MITSUBISHI requires, it's imperative that you get into a routine. Oil functions as many things, but it's primarily a lubricant. Preventing friction from creating heat build-up among all of the parts that comprise an engine, oil is crucial to performance, proper functioning, and keeping your fuel efficiency at its best. Who knew there were so many benefits to getting your MITSUBISHI oil change at GLADSTONE MITSUBISHI in MILWAUKIE, OR? We at GLADSTONE MITSUBISHI always have. With our highly trained staff, we make each and every service visit as quick and efficient as possible, and, with our intuitive website, you can even schedule an appointment online. Head over to the Service Department tab and pick the time and date that best accommodates your schedule. When you arrive, drop off your keys, grab a cup of coffee, and let us take care of the rest. Every oil change comes with a free multi-point inspection and wiper fluid fill-up, so you can accomplish two birds with one stone. Going to GLADSTONE MITSUBISHI, your local authorized dealer has plenty of benefits - even some you probably don't realize. For example, coming to GLADSTONE MITSUBISHI in PORTLAND, OR for each and every oil change will benefit you even when you go to resell your vehicle. The demand for service reports on pre-owned vehicles is high and increases the value of your vehicle, which is always a good thing. Also, authorized sellers are in-the-know on the latest updated tech and information about your MITSUBISHI. At GLADSTONE MITSUBISHI we don't want you to sweat that regular maintenance appointment. We make it easy for you to get quality, affordable service by offering great prices to begin with, then adding on available specials, as well! Leave your MITSUBISHI with our capable team, here at GLADSTONE MITSUBISHI. We know how much your car means to you and we'll handle it with care. Come get your MITSUBISHI oil change in MILWAUKIE, OR, today!